Well, we did it. DIY iPad screen replacement is possible, even for us! Between watching tutorial videos on YouTube and actually performing the repair, we spent about 9 person-hours. Next time would be a lot faster. 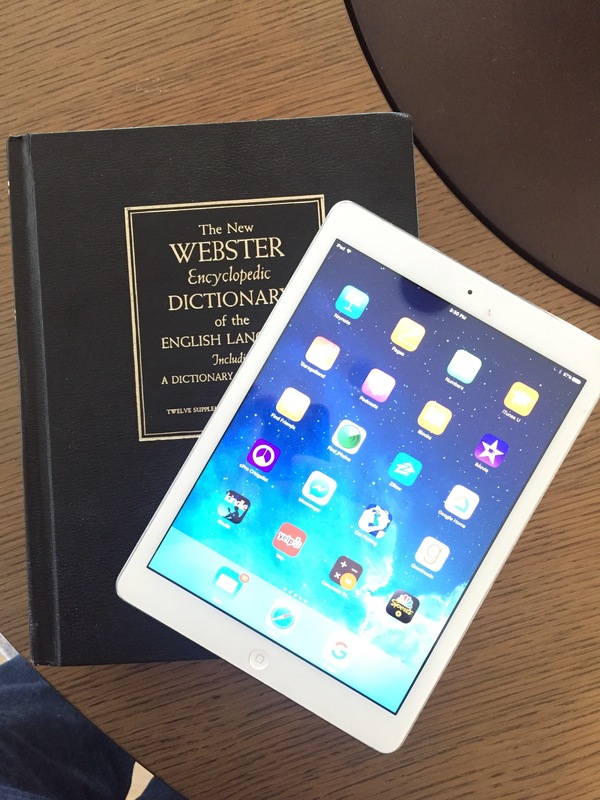 We liked the irony of using the dictionary I got for a high school graduation present to weight the screen down while the new adhesive set up.